A Major Blind Spot for Memoir Writers: Are You Guilty? It’s a mistake that’s so darn easy for memoir writers make: we assume our reader knows what (or who) we know. We know the people and subjects about which we’re writing so intimately that we might leave out important details that our reader needs to follow along. For example, we might write that we went to dinner with Thomas, but failed to tell the reader who Thomas is. Maybe we wrote a paragraph introducing Thomas in an earlier draft, but that passage was cut. Somehow, we’ll have to find a way of letting our reader meet him again. A writer who’s been engaged in a particular career, hobby or other activity for years needs to be especially mindful of being too vague. Have you ever met someone who, in ordinary conversation, threw out technical jargon and other terminology with which you were unfamiliar? It might be like going to dinner with a world-class chef and hearing him use culinary terms that many of us wouldn’t use in describing food. For him, talking about the umami quality of a sauce, or dropping phrases like bain marie or à la Crécy is perfectly normal. To someone who doesn’t cook at all, those terms are completely alien. Years ago in a college creative writing class, we students read an excerpt from a fellow student’s memoir. She was older than the rest of us by at least thirty years. She wrote about participating in a civil rights march – a lesser-known march, one that took place in the small town where she grew up. The student acted shocked when the rest of the class confessed to being confused by her story. There was so much background information that we needed to know in order to follow her tale – information that she failed to give us. If we’d been told a few simple facts about the people involved, and some background leading up to events, we would’ve understood what we were reading. But somehow, this student forgot that the rest of us did not live in her head. We didn’t have automatic recall of the events she’d witnessed. She failed to paint a complete enough picture. Have someone else read your memoir. Once you’ve finished your first draft, give a copy to at least one friend you trust. Have her read it and make notes about anything she doesn’t understand. Make sure she knows you’re not asking for feedback on spelling or grammar – just on the clarity of the story you’re telling. She has tons of questions. This might mean you left out key information, or that you need to elaborate. She gets confused. You might need to focus parts of your work more tightly, or add or subtract details. You ask her to summarize all or part of the book, and she can’t. You might have bored her, in which case maybe you didn’t use enough detailed description. Alternatively, maybe she gives you the wrong answer. Maybe you’ve written a memoir about raising alpacas, and she tells you, “Obviously, this is a book about divorce.” You might be writing too much about the wrong things. Or, maybe you should be writing about divorce. Read your memoir as if you’re a stranger. When you’ve finished your first draft, try reading it through from beginning to end, imagining you’re someone else. Read it through the eyes of someone who has never heard your stories before, has never met you. Does everything make sense? Then, read it again – out loud. You might be surprised by how much you missed. To get one-on-one help with your memoir, request a coaching session by phone. 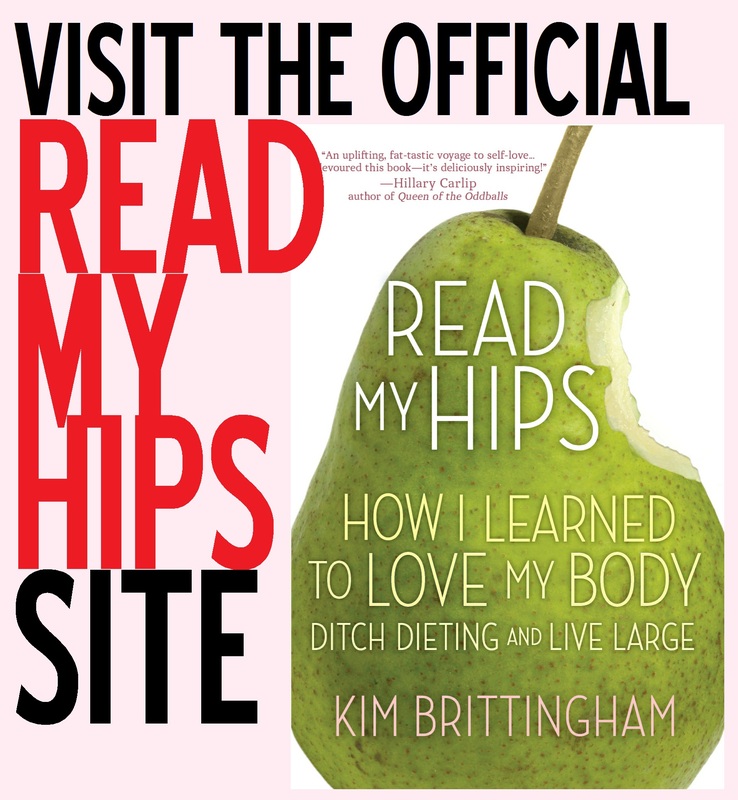 Kim Brittingham is the author of Write That Memoir Right Now (AudioGo/Blackstone, 2013) and Read My Hips: How I Learned to Love My Body, Ditch Dieting and Live Large (Random House, 2011). Does Your Memoir Have WAY Too Many Characters? In your life to date, you’ve likely encountered thousands of people. Maybe hundreds of thousands. The kids down the block you pummeled in snowball fights. Your teachers. Co-workers. The guy who used to cut your lawn. The lady who delivered your pizzas in college. You’ve crossed paths with a lot of people when you think about it, especially if you’ve lived in more than one place. Do you plan on mentioning every single one of those people in your memoir? But who you leave out is worth discussing, because many first-time memoirists fill their books with unnecessary people. I like to call it “character clutter.” Too many characters can be distracting and confusing. In the late 1950s, the Royal Canadian Air Force produced a booklet on isometrics, a form of exercise that enjoyed a short but devoted vogue with my father. The idea of isometrics was that you used any unyielding object, like a tree or a wall, and pressed against it with all your might from various positions to tone and strengthen different groups of muscles. Since everybody already has access to trees and walls, you didn’t need to invest in a lot of costly equipment, which I expect was what attracted my dad. What made it unfortunate in my father’s case is that he would do his isometrics on airplanes. At some point in every flight, he would stroll back to the galley area or the space by the emergency exit and, taking up the posture of someone trying to budge a very heavy piece of machinery, he would begin to push with his back or shoulder against the outer wall of the plane, pausing occasionally to take deep breaths before returning with quiet grunts to the task. Now, imagine you’ve finished reading that entire book, and the character of the author’s father never shows up again. When an author takes the time to introduce a character, the reader expects that character to play some important role. It doesn’t mean the character will appear on every page, but we know we’ll see him again, or we’ll at least see the effects of something he did off the page. Just because you have ten brothers and sisters doesn’t mean you have to bring every single sibling into your memoir. That might be tough on the reader – too many distinct people to keep up with. However, there’s a good chance that not every one of your siblings plays a major role in the stories you’re telling. In life, people in big families usually develop closer relationships with one or two siblings in particular. If that’s true for you, there’s no reason you have to tell us what every child in the family was doing during every story you tell. Focus on the people who were directly involved in each tale. Sometimes it makes sense to exclude a person from a story, or even an entire book. You might be tempted to write them in for the sake of accuracy. After all, aren’t you supposed to be telling it as it really happened? Telling the truth? Yes. But you’re not writing an article for the newspaper — you’re writing a memoir. A memoir calls for good storytelling, even if the stories are true. And good storytelling sometimes calls for leaving things out. Another way to deal with “character clutter” in a memoir is to combine characters. Suppose you’re writing a memoir about the years you spent writing copy for large advertising agencies. Imagine that your career spanned at least five decades. That’s a lot of years on the job, and certainly you worked with a lot of different people in that time. And suppose that early in your memoir, you mention some casual conversations between you and your first office mate – a guy named Harvey. But then suppose Harvey was only your co-worker for a short time before he moved to New Zealand. A new person took his place – a guy named Ted. And you and Ted became pals, much like you and Harvey were pals. But let’s say Ted was your office mate for only 18 months before he got shipped off to a facility upstate to “get some rest”. Six more friendly office mates followed before you eventually earned your own office. Maybe only one or two of those office mates played a truly significant role in your life – the others, not so much. Are you going to take up space in your memoir naming every single office mate, details of their lives, why they came and went? That might be a mistake. It could amount to character clutter, distracting the reader from what’s key to your story. That’s not to say you can’t relate different conversations you had with these minor players. You might tell an anecdote here or there about what happened to them. Instead of giving significant space in your memoir to so many insignificant characters, you might consider combining those office mates into one or two characters. This is sometimes referred to as creating a “composite” character. Maybe one represents your office mate at your first job, and the other represents the office mate at the second firm you worked for. We don’t need to know that, technically, you had three different office mates at your first job. What we really need to know is that you had an office mate you could confide in – someone who made your days easier, maybe provided some much-needed comic relief. So provide us with that character. This technique can work well in party scenes (do we really need to be introduced to every guest at your wedding, or will one rowdy uncle representing most of your mother’s side of the family suffice? ), and in simplifying childhood friendships (if Mindy, Lindsay and Coco were your best girlfriends over the years, can they be combined into one girl who worshipped Paul McCartney and collected S&H Green Stamps?). Please note that the memoir police will not come after you for combining characters. This, like changing names, is commonly done. In most cases, it makes for better, cleaner writing. Don’t fret because in your memoir, you gave yourself two fewer nieces than you really have, when Alice is the only one you really talk to anyway. There’s no law against saying you worked for a personal injury attorney instead of a maritime law practitioner. These are common and valid ways of tweaking reality to either protect someone’s privacy or create a smoother read. I’m going to take the risk of sounding like a jerk. But I’m not trying to discourage you from writing. On the contrary, I want you to take the smartest possible approach to writing your memoir – the one most likely to fulfill your personal goals. So hang in there with me and see if what I have to say makes sense. Consider for a minute that there are billions of people in the world. And most people think their own lives are pretty darn interesting. It’s human nature. We’re all biased that way. And most people like to read. But people also have limited time and energy. Few people – if any – will read every book ever written. We’re selective about what we read. We choose what we expect to enjoy the most. So if a reader is going to choose to read a broad, chronological account of someone else’s life, chances are, they’ll pick up an autobiography about someone they’ve heard of before. A celebrity. An actor, chef, politician. Maybe the CEO of a multi-billion-dollar company that’s a household name. The average person doesn’t know why they should care about your life – the house you grew up in, your favorite teacher, your crazy college days, your first career, your second career, your first marriage, your third divorce. To most people on the planet, you’re a stranger. But remember, a memoir is different from an autobiography. It represents a small portion of a person’s life. A particular period of time, a challenge overcome, a lesson learned. If you want your memoir to be read by lots of other people who don’t already know you, you’ll have the best chance if you write a memoir and not an autobiography. Narrow your focus and you’ll broaden your appeal. For example, you might decide to write an entire memoir about one summer of your life, like Marjorie Hart did in Summer at Tiffany. As an Iowa college student in 1945, Hart took a summer job at Tiffany’s in New York City and passed the sweltering months going out on the town with handsome young sailors and rubbing elbows with the rich and famous. Yes, she filled an entire book with tales from one summer of her life – and it’s delightful. It also attracted many readers among people the author never met. Why did a memoir about one summer have more appeal than a book about Marjorie Hart’s entire life, from birth to the present? The audience for a Hart autobiography would be rather small, consisting of her family members and close friends. They’re the people who love her; they have the most interest in reading about her whole life. But when Hart went into detail about her whirlwind summer in the big city, she touched on thoughts, feelings and experiences that many readers could relate to. That’s a memoir. A Narrower Focus Gives You Freedom! Here’s how narrowing the focus of your book can actually give you more freedom. The idea might seem limiting at first, but think of all the details you’ll have to skip over or rush through if you’re trying to cover all the major events of your life in one book. Besides, your memoir might convey a lot more than just your story. It might also be a valuable chronicle of history, detailing what it was like in a particular time and place. Summer at Tiffany, for example, actually does double-duty. Not only is it an entertaining read, but it also serves as an historical account of young women living and working in New York City in 1945. When you focus on one aspect of your life, you can afford to take your time and richly convey details to your reader. You can delve into your feelings in the moment, and share your insights after the fact. And when you recall your experiences through all five senses, you deliver a product that resonates with the reader and is not soon forgotten. These are the kinds of books people want to tell their friends about. So, in short, you can’t expect legions of perfect strangers to care about your life, from soup to nuts. But you’ll increase your chances of capturing the interest of strangers with a more specific story, lesson, or message. Here’s another example. We already know that Joe Schmoe doesn’t have a great chance of selling his entire life story to a bunch of readers who’ve never heard of him, and are too busy to care. But what if Joe Schmoe was diagnosed with a rare, fatal disease – a disease that no one survives for more than a few months – and he defied that illness to live a robust thirty years, post-diagnosis? Joe has a great story to tell. Joe’s memoir won’t spend much time on his childhood (unless he was diagnosed as a child). He won’t talk much about his years following the Grateful Dead on tour (unless it relates somehow to his disease – maybe the fact that he was able to follow the band, despite doctors’ warnings that he wouldn’t have the energy). Joe won’t write much about going to law school (except maybe to say that he withstood the pressure despite his disease). Joe’s story now appeals to lots of people. It appeals to people with his disease, and people who love someone with the same disease. It appeals to anyone with a fatal illness looking for hope or encouragement. It might appeal to doctors and scientists with an interest in disease. It might appeal to anyone facing a great trial in life, looking for inspiration in a story of unlikely triumph. A memoir can be about more commonplace experiences, too. Maybe Jane has a great sense of comedy and tells her friends hilarious stories about surviving her divorce. Jane might have a humorous memoir in her – one that will appeal to millions of other women facing divorce. Perhaps Anne-Marie had a long history of car trouble, and decided once and for all to become the master of her vehicle. Maybe she spent three months taking automotive classes and was the only woman in a class of guys at least forty years younger than her. And maybe Anne-Marie transformed in multiple ways through her experience – not only did she eventually build an engine from the ground up, but she found herself in a love triangle with two handsome young bucks. That could be a memoir, too. So, if you’re going to narrow the focus of your book, how will you decide what the focus will be? It can seem overwhelming. But following are some questions you can ask yourself that may help you zero-in on the best idea for you. If you were going to leave a note for your grandchild to open on his or her 18th birthday, containing three key pieces of advice about life, what would you write? Do you ever look around at the greater population and think, “If only they knew what I know”? What do you want them to understand, and how did you come to understand it? Do you ever tell stories to groups of people that keep them riveted, or even make them laugh? Do you ever get requests to “tell that story again”? What are your most popular stories, and why do you think people want to hear them? Do most of these stories have something in common? Are you able to complete this sentence? : My life was never the same after ______. What was the single biggest turning point in your life? What’s the most unusual situation you ever found yourself in? How did you adjust to or cope with it? What’s your favorite memory? What about that memory is so special? What about that memory do you think other people would relate to? How have you changed the most? How can your life experience help other people? Did you play a role in a major historical event? What was your role? How did it affect your life afterward? What one thing are you most proud of in your life so far? What’s one thing most people have difficulty with, but that you were able to master? Did you ever say to yourself, “From now on, I’m living my life differently”? Did you stay true to your word? Most of us have moments when we sigh and say, “Ah, those were the good old days.” When were your good old days? What’s the one event that, in your mind, defines those days as “good”? Did you achieve something that took immense patience and dedication? How did you get through it? Did you make it to the top of your profession? How did you get there? What was it like when you finally got to the top? Was it everything you thought it would be? Can you complete this sentence? : Most people would never believe this about me, but I ______. When have you completely surprised yourself? If you’ve been thinking hard, chances are you’ve identified several areas of your life that could translate into separate memoirs. If this is the case, don’t let it overwhelm you. Don’t tell yourself, “I’ll never be able to choose one narrow focus!” Here’s what I want you to remember: you can always write another memoir about another subject. Remember that many authors have written several memoirs. Look at Josh Kilmer-Purcell. His first memoir, I Am Not Myself These Days, was about his days as a drag queen. He’s also the author of The Bucolic Plague: How Two Manhattanites Became Gentlemen Farmers: An Unconventional Memoir. If you’re having trouble choosing a focus, remember that your writing career doesn’t have to end with this one book. Just decide which focus is calling to you most strongly right now. Start there. Write that memoir first. Are All Memoirs Written in the “First Person”? Not Necessarily. When it comes to writing a memoir, why bother discussing point of view? After all, aren’t all memoirs written from the first person point of view? 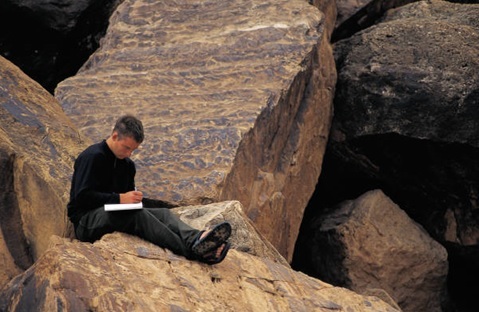 In most cases, yes — memoir does tend to be written from the first person point of view. This is the POV of “I”. “I climbed onto the motorcycle. I put my arms around Joe’s waist. I gulped as the bike lurched forward.” First person is all about the person telling the story – the narrator. Sometimes I look at people and wonder if they are related to me. I do this in public places and private spaces. There I am, in airport terminals, and train stations, on ballroom floors and sandy beaches, studying people who might be my relatives. Not only does first person make sense for memoir, but it makes for the most intimate possible experience for the reader. When you write in first person, you have the best chance of making your reader feel like they’re in the room with you – or sitting next to you in the cockpit, or huddled against you in the storm cellar. With the third person point of view, you’re describing to the reader what’s happening in a scene. You and the reader are watching events together, from the outside. This point of view feels a degree or two removed from the action, and as a result, it can come across as less “personal” than first person. One night he is supposed to call at 6 P.M., which he does, but she doesn’t get the message until an hour later when she is immersed in a class at the ABC School, filling in for a teacher who failed to show. When she calls him at seven, there’s no answer at his place. So she calls again at eight, then at nine, and again at ten. Finally, before midnight, he answers his phone, sounding angry and maybe a little drunk. So you don’t want to get together? the woman asks, disappointed that he’s not as eager to see her as he is to see him. All she wanted that night was to hear his voice. Now that she has his voice, his voice in her ear, it isn’t enough. Whatever she has, she will always want more. The stakes go up. This is her way of life. Her way of love. She wants to see him, even if it’s only for a few minutes, just to say goodnight. And if she sees him? She will want to touch him. And then? It’s important to note that most of Abildskov’s memoir is written in the first person, which is typical. However, in this particular scene, she uses the third person. Why? It’s an act of artistry. In my opinion, she’s doing it to help us sense how she now feels about that woman she’s remembering – as if she’s a different person. Haven’t you ever looked back on something you did or said as a younger person and thought, Who was that girl/guy? An earlier, less wise version of yourself can feel like a stranger. If you’ve changed significantly in your life, recalling something you did in the past can almost feel like watching a play or a movie. I believe Abildskov was using the third person as a device to help us understand how distanced she feels from that once desperate woman. Then, there’s the god-like omniscient point of view. I say “god-like” because it’s the only point of view that knows all and sees all, as only a god could. If you’re writing in the omniscient point of view, you can describe what April was thinking as she sped away on the motorcycle. You can also tell us what Joe was thinking when April put her arms around him. You know how the weather’s going to change a mile down the road, and you can hint at it to the reader using foreshadowing – even if the characters have no idea they’re headed for rain. Writing in the omniscient point of view can feel empowering. It can feel magical. There are no limits. On the downside, however, a reader of the omniscient point of view can sometimes struggle to make an emotional connection with any one character. It’s a lonely business, being a god. And when you share with your reader all that god-like knowledge, you risk imparting a sense of loneliness – a separateness from your characters. You start the first day of school with such high expectations. You think this’ll be the year when you finally break out, make your mark, achieve popularity. You never set out to have the most miserable year of your life. I just made up that passage. It could’ve been an excerpt from a memoir, written by a real person about their real life; or, it could’ve been the voice of a make-believe character in a novel. Either way, you’d still call it the second person POV. Notice the use of “you”? With second person, the narrator is talking about his or herself, but using the word “you”. I know, sounds complicated. Think of it this way: have you ever heard someone use second person in conversation? At some point, you may have done it yourself. You just spoke using the second person point of view. Sure, you said “you” to Lois – but you were actually talking about your own experience, not hers. Back to memoir. Does anyone ever use the second person “you” point of view in memoir? It’s rare, but it’s been done. You might be hard-pressed to find an entire memoir written in second person (I can’t think of any), but you will occasionally spot it within a first person memoir. 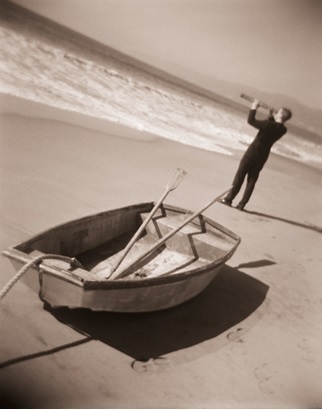 At school they write messages on the bottom of composition books, little lost boats you have the urge to keep and save. KEEP OO JAMMIN in all caps. Or questions that sail in on paper scraps, tiny letters in bottles that sail across the sea. Do Marilyn-sensei like Guns and Roses? A little, you lie. You believe in kindness over honesty. A little, you lie. You believe in kindness over honesty. You lie. You believe in kindness over honesty. The person who actually did the little-white-lying in this scene is the author. But she says it conversationally, as if to suggest that this is what anyone would do – what you might do in the same situation. So while chances are excellent that your memoir will be written in the first person point of view, there are certainly ways that other points of view can be useful. I recommend starting out in the first person, and see if you lapse into another POV somewhere down the line. Instead of automatically correcting it, you might step back and ask yourself if a small portion might actually be served by using another point of view in an artistic way. Writing Dialogue in Your Memoir: Human or Robot?